Don’t get me wrong, I don’t have anything against potatoes. In fact, they are one of my favourite foods of all time. When you leave their skin on (and avoid French fries and potato chips), they are full of potassium and fiber. I even wrote a recipe for a bright and cheery purple potato salad last summer that is totally worth checking out. 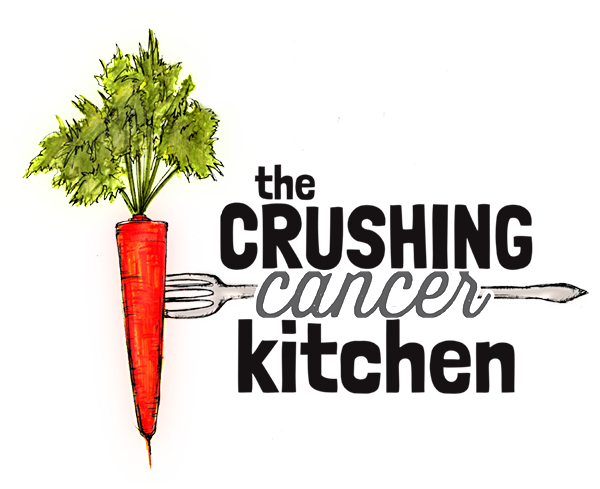 The only problem with potatoes (beyond some of the unhealthy recipes that they find themselves in) is sometimes they take the place of veggies that pack more of an anticancer punch. Cauliflower, kale’s pale and flowery but feisty cousin, makes a great replacement for potatoes both flavour-wise and nutritionally. 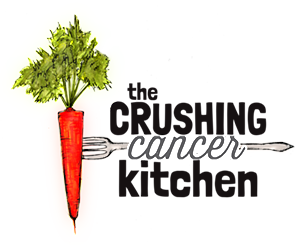 It is full of antioxidants, helps protect cells from DNA damage, has anti-inflammatory, antiviral and antibacterial effects and helps inactivate carcinogens. Seriously. I see this as a worthy swap, something worth trying out in all of your favourite potato recipes. 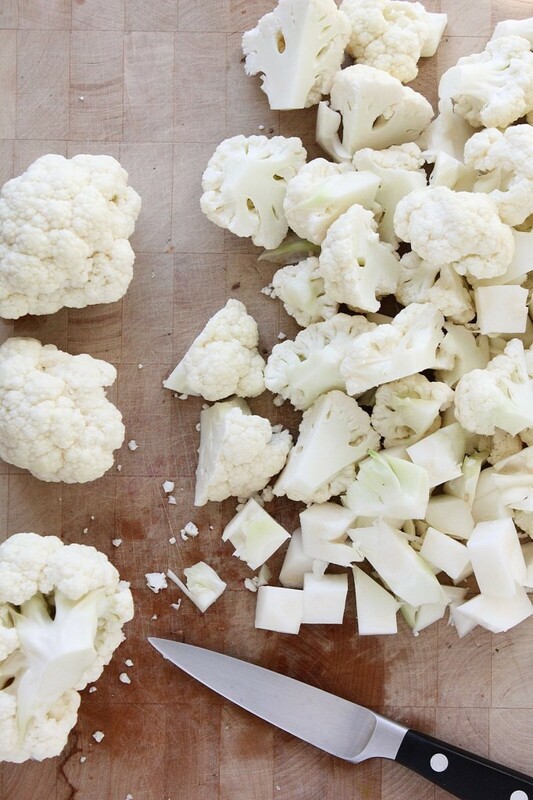 In this recipe the cauliflower gets a quick steam to take out the squeaky rubbery-ness. 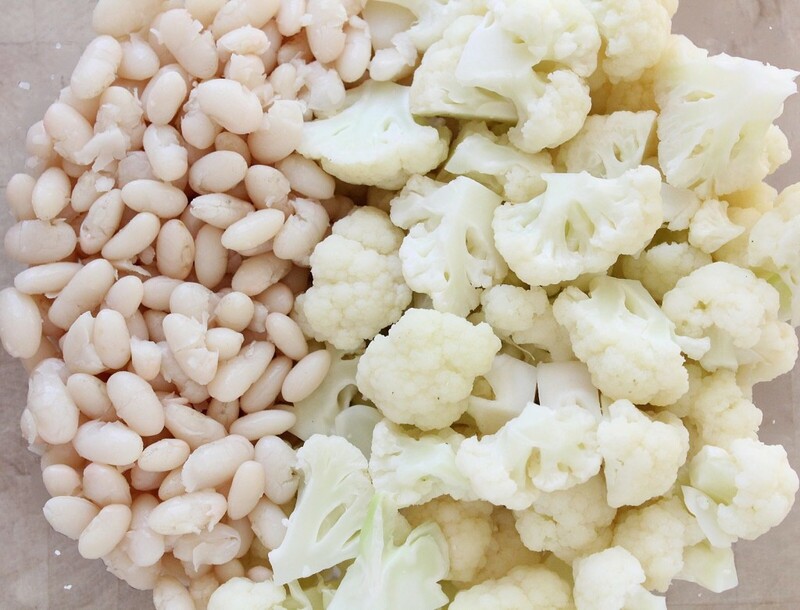 We also throw in some cooked white beans to add something resembling the potato texture and its dressing-absorbing potential back in to the salad (although, feel free to leave these out to keep this recipe keto-friendly). A side effect of this bean addition is some extra protein, which means we can have just potato salad as a meal and feel pretty satisfied. 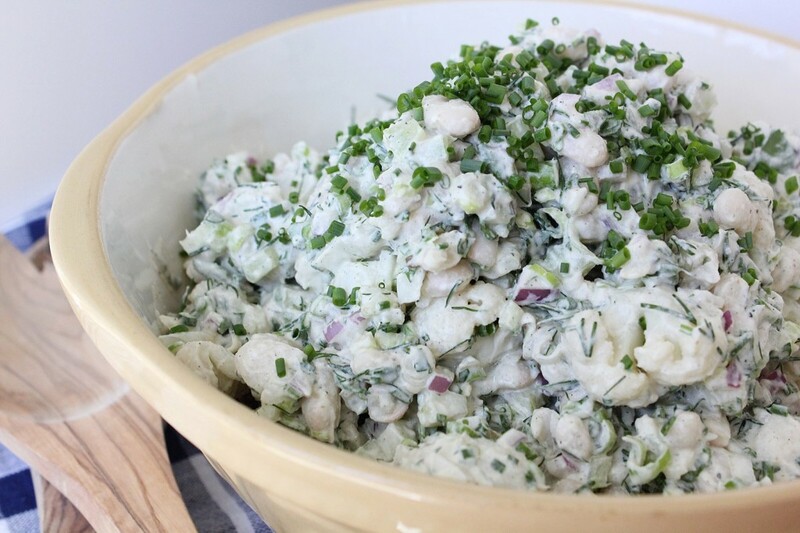 If all you get from this post is to try cauliflower in place of the potatoes (even just half of them) in your favourite potato salad recipe –awesome. You’re already better off. We have taken it several steps further with this recipe though and hopefully it will inspire you to try something new. We have skipped the refined oil-laden mayo and opted for hemp hearts and cashews instead. 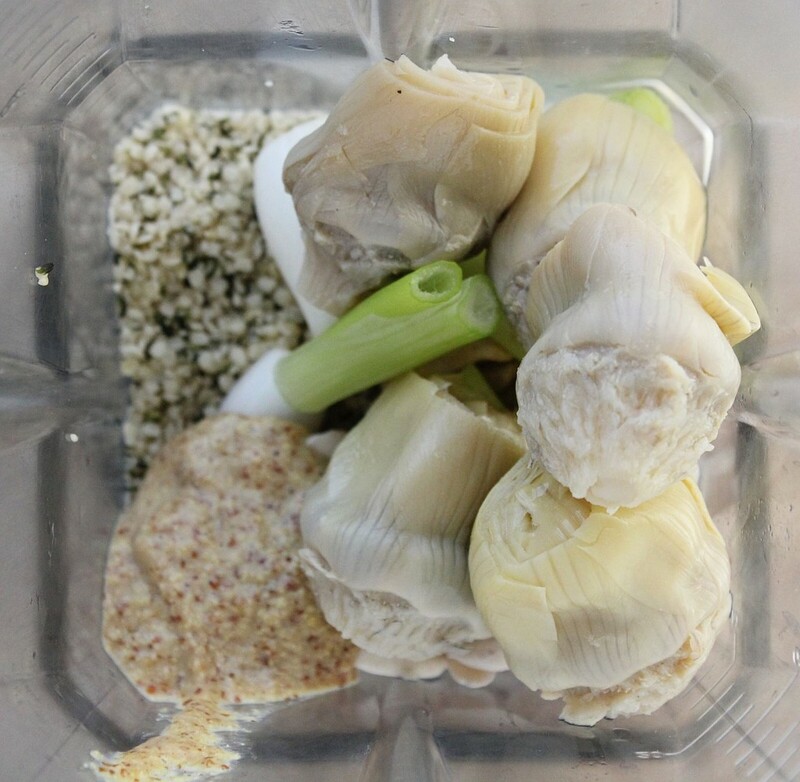 It seems too good to be true that with the addition of some homemade mustard, lemon juice, artichoke hearts and green onions, it actually tastes better than a mayo-based dressing, but it does! For real. You could use this dressing on coleslaw or a chopped head of kale and you would not feel sorry for yourself at all. And then of course there is the opportunity for MORE vegetables that we don’t ever pass up on around here. 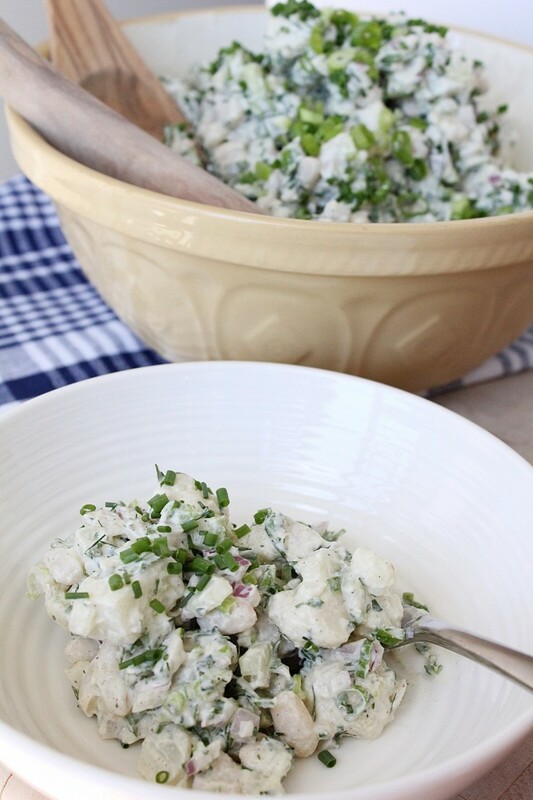 Classic potato salad often is made up of peeled potatoes, mayo, boiled egg and sometimes a pinch of fresh or dried herb. (How does this get salad in its name? By being cold? This would make leftover pizza salad too…) By adding or subbing in cauliflower, it suddenly deserves the salad in its name. 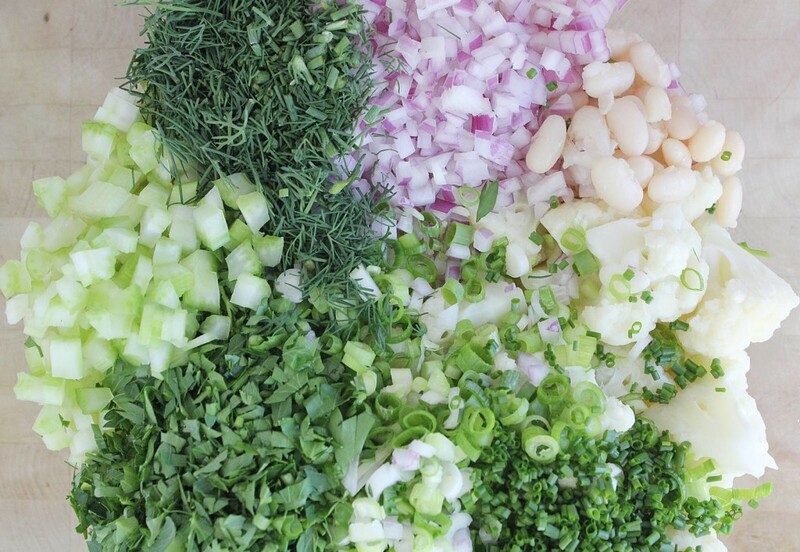 When we add some celery, red and green onion, and lots of fresh herbs it becomes the president of all salads. Take this to your next barbecue and you will make friends. In my experience, most people would like to balance out the usual suspects at a barbecue without changing the overall tone, they just haven’t ever thought about how. 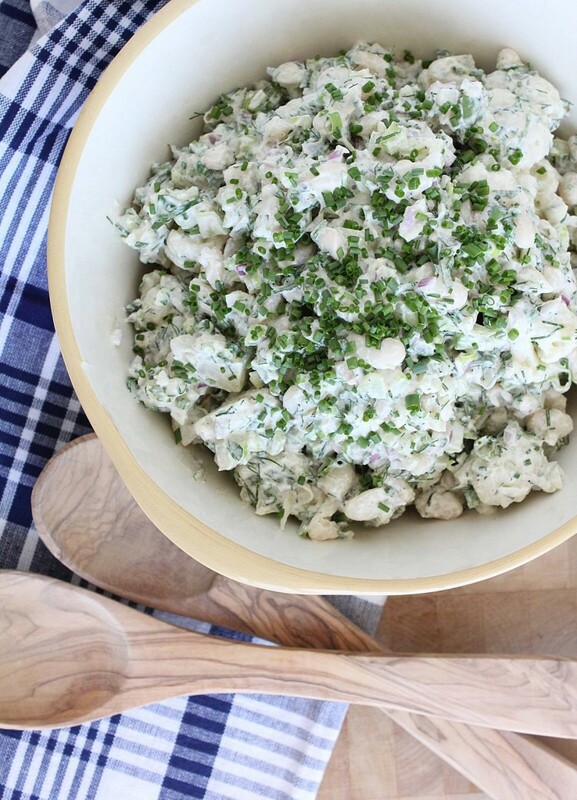 This potato-free salad is totally how. Steam the cauliflower on high heat for about 5 minutes. You want it to be just tender, not cooked through (taste it). Lay it out on a plate or platter to cool off. 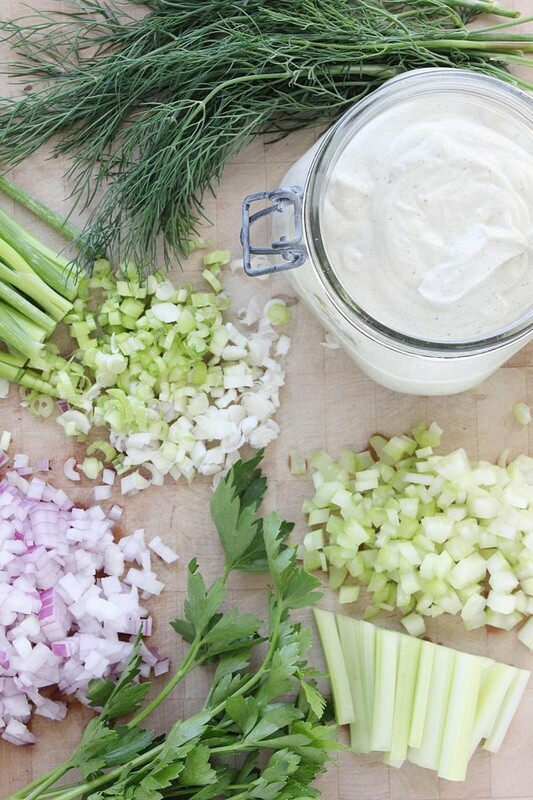 Once cool, toss with the rest of the ingredients including the dressing. This will last 4-5 days in the fridge. Blend in a blender until very smooth. It will take a few minutes if you don't have a high power blender.